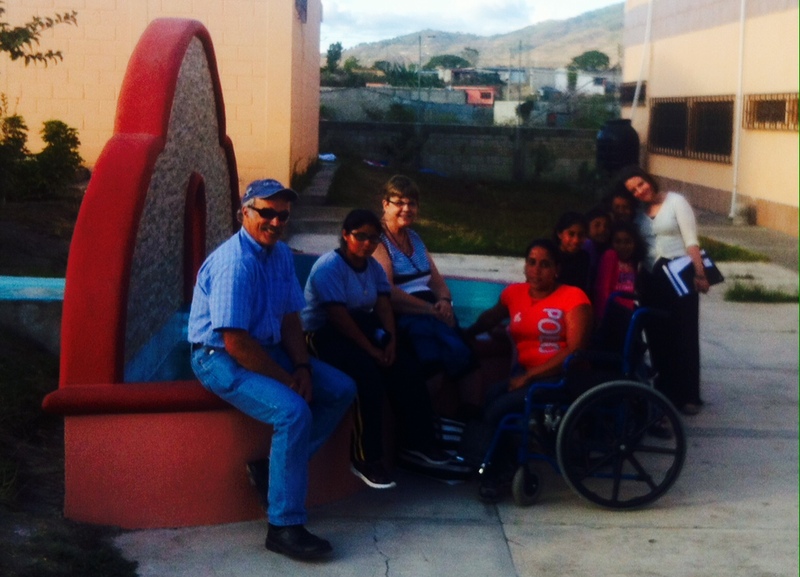 This February, we went on a new year’s visit to Casa Hogar in Jalapa, where many changes are under way. It was lovely to see everyone, especially some of our littlest friends! They are growing well and in great health and spirits. The site is buzzing with activity. 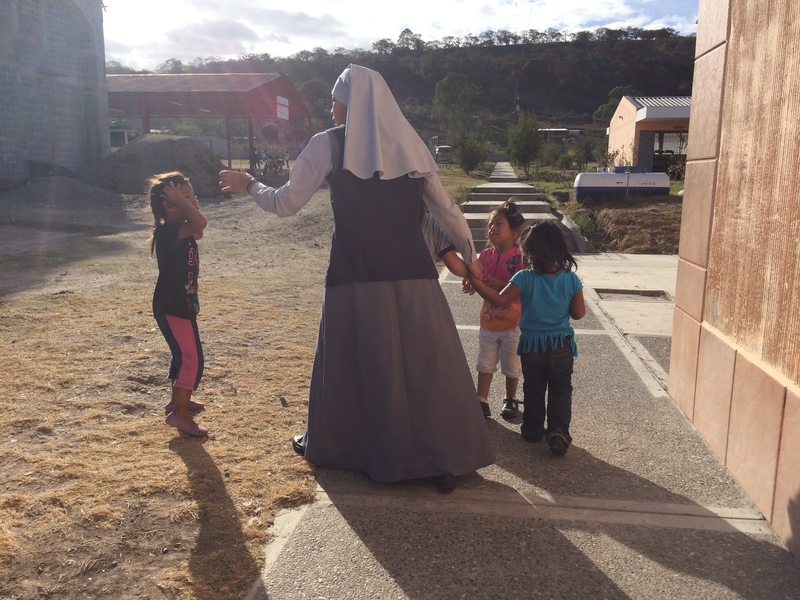 A group from Switzerland has allowed Casa Hogar to add a school building, meaning that for a good number of the home’s 102 girls school can now take place every day, independent of weather conditions, and above all in a safe place. The building turned out beautifully. What HEAR liked in particular about this arrangement is that the on-site school allows some of the home’s older girls to find employment that otherwise would be inaccessible to them. 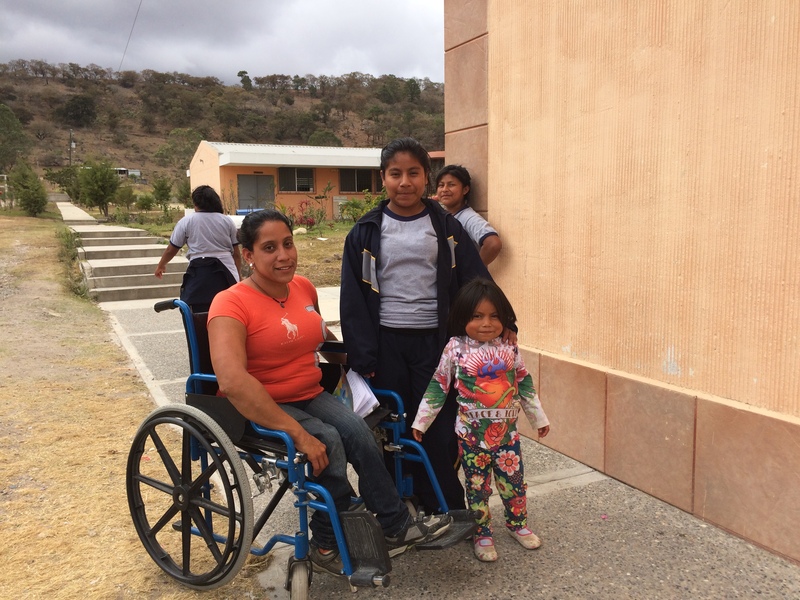 Luisa (left) has become part of the teaching staff, and the change this new responsibility has made in her is quite breathtaking. She is confident and joyful. Because of her disability most other paths of employment are closed, meaning this opportunity is unique. Luisa with some of her present and future students. Employment, and the empowerment that goes with it, was the red thread running through this visit. One of our first visits was to the Milagros workrooms, where Gracia Inc employees Ilma and Sucely gave us a demonstration of their skills. We observed the same change: they were confident, in charge, and comfortable teaching us (rather than us teaching them). 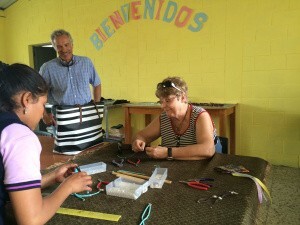 A lesson in bracelet making. Some of the little ones seemed to enjoy the demonstration in particular! For these little ladies, seeing a young female employee confidently demonstrating her skill is still far from the norm. 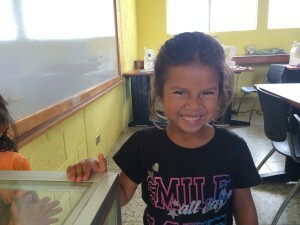 For HEAR, the great success story of Gracia is precisely that: the girls see a living example of a way to independence. 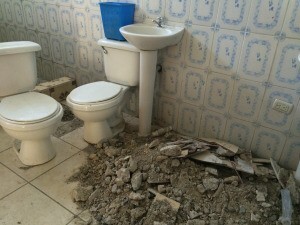 Construction projects in various stages are going on across the site, and these are a mixed blessing. Some very necessary projects are being undertaken, such as communal living space and a dispensary. 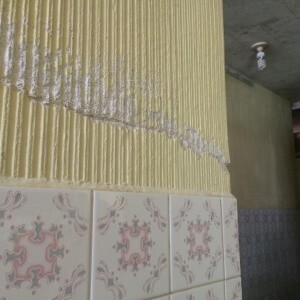 But these projects are putting an enormous strain on the home’s fragile water system. There are leaks all over the site, and identifying these and coming up with a plan to fix them took up a considerable amount of our time. 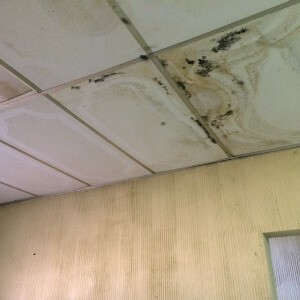 Various stages of water damage. 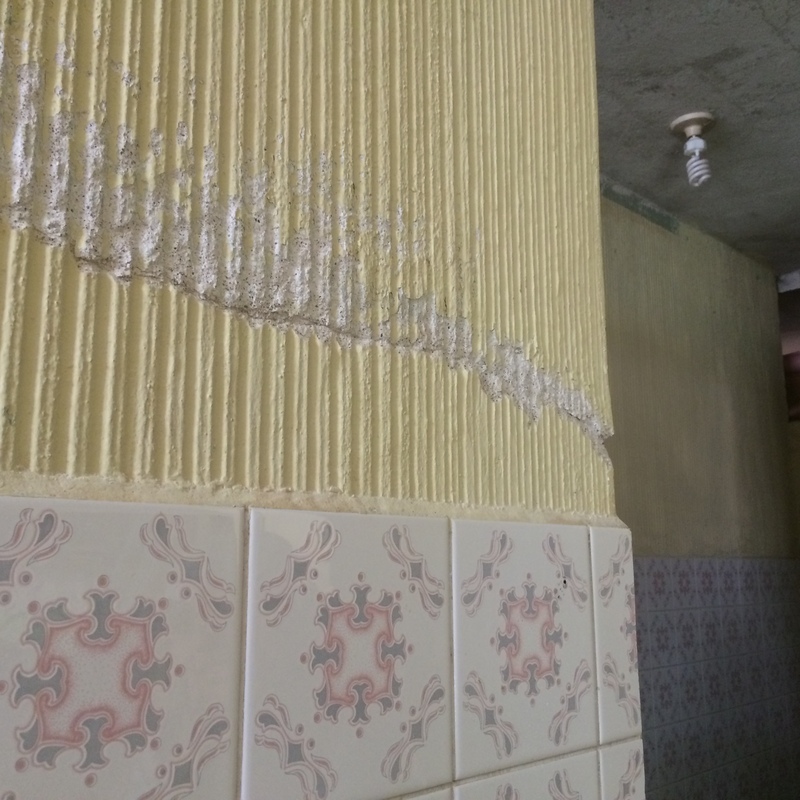 Nevertheless this trip turned the corner to a very positive and encouraging place, and the reason for this is that Casa Hogar is finally gaining the local support that it needs for continuous maintenance. 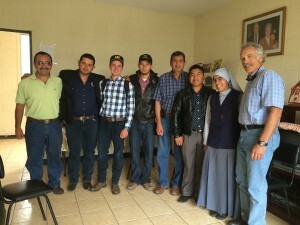 While we visited me met with a good round dozen of people, from water experts to engineers, who have come forward and regularly support Madre Claudia. We are currently waiting for a complete report on the water situation – once that is in place, we’ll be able to make plans for the rainy season! Building site for the chicken coop. This unassuming spot was the biggest source of excitement for us on this trip. 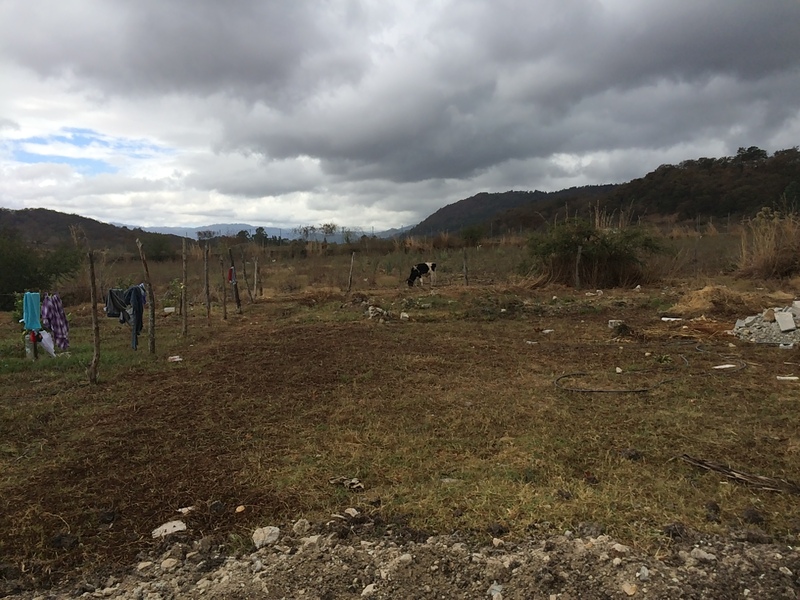 Thanks to a generous donation by Trades of Hope, we will be able to return to Casa Hogar in May and build a chicken coop with a 150 hen capacity. The plans were created by a team from St. Carlos University under the guidance of Prof. Mario Gonzales. The young men created a plan for a coop that will produce enough eggs to become self-sufficient once it is up and running. The best part? As far as we are concerned, it’s the fact that this coop, along with a variety of responsibilities around Casa Hogar and the agricultural project, will be placed in the hands of two young residents. 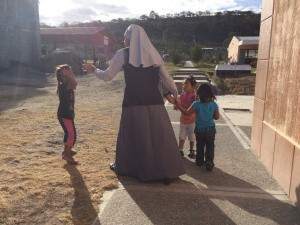 These young women have proved themselves capable and proactive, assisting Madre Claudia in a variety of ways and demonstrating a strong willingness to contribute. 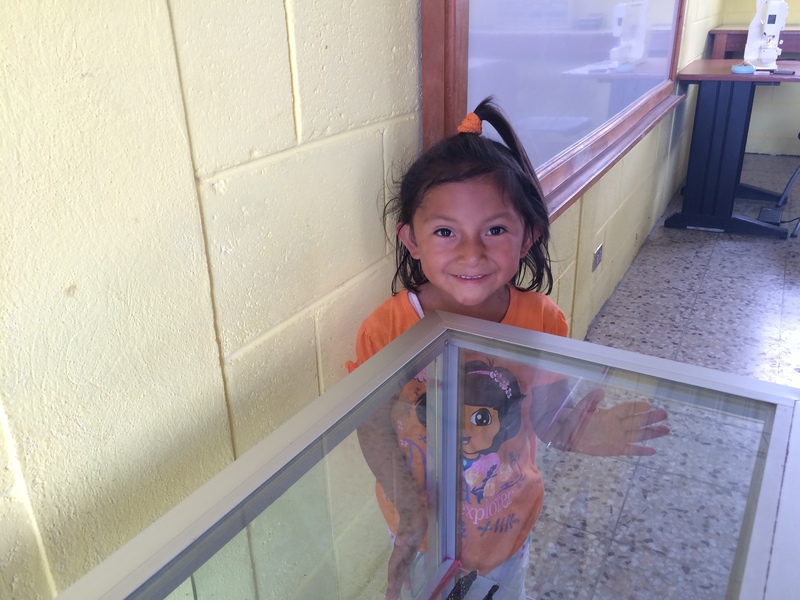 We feel that the best use of our time and resources is to help Casa Hogar’s resourceful young residents gain independence, and we were thrilled to find a strong drive and initiative on their part. During our hunt for what was causing water leaks in every bathroom on site, Gabby demonstrated an absolutely uncanny instinct for finding defective valves all over the ground. 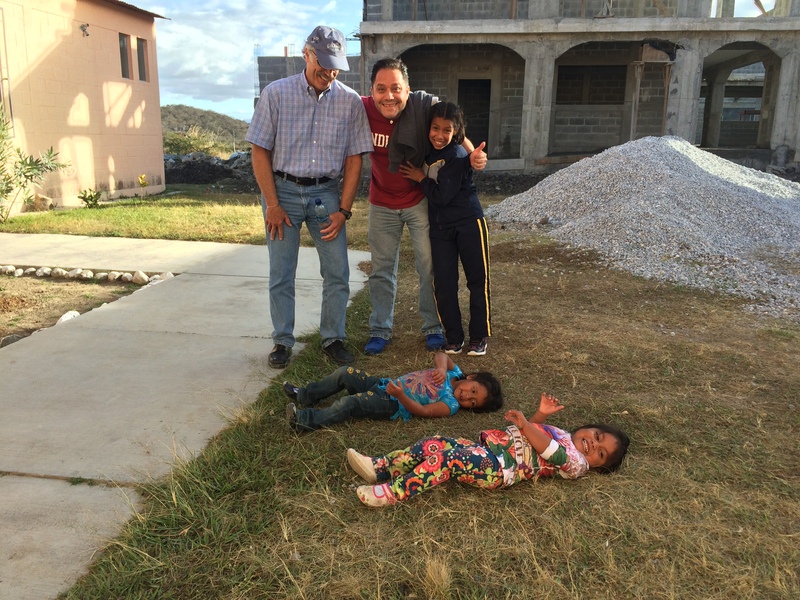 And when HEAR volunteer and family nurse practitioner Roger Barillas saw over 20 girls in less than half a day, Lupit simply decided that he needed a hand and took notes on diagnosis and follow-up for girl after girl. We are just pleased as punch at the prospect of working with these young ladies, and we can’t wait to keep you all updated where our collaboration goes. Our next trip is due in May. If you’d like to come along and meet some of these wonderful young women, we can always use volunteers – please contact us at vera@hearfoundation.org.